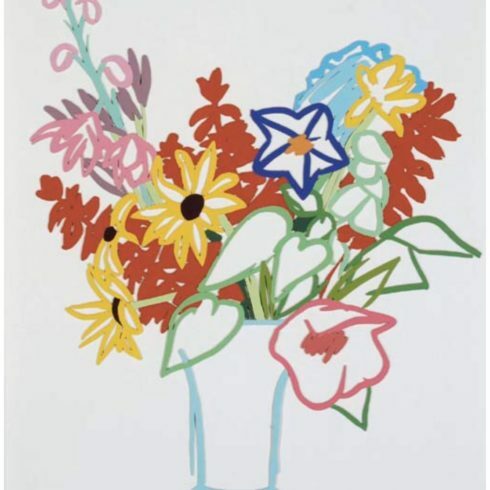 Tom Wesselmann, Flowers is an original mixograph in colors on paper. This print is from the pencil signed and numbered edition of 50. 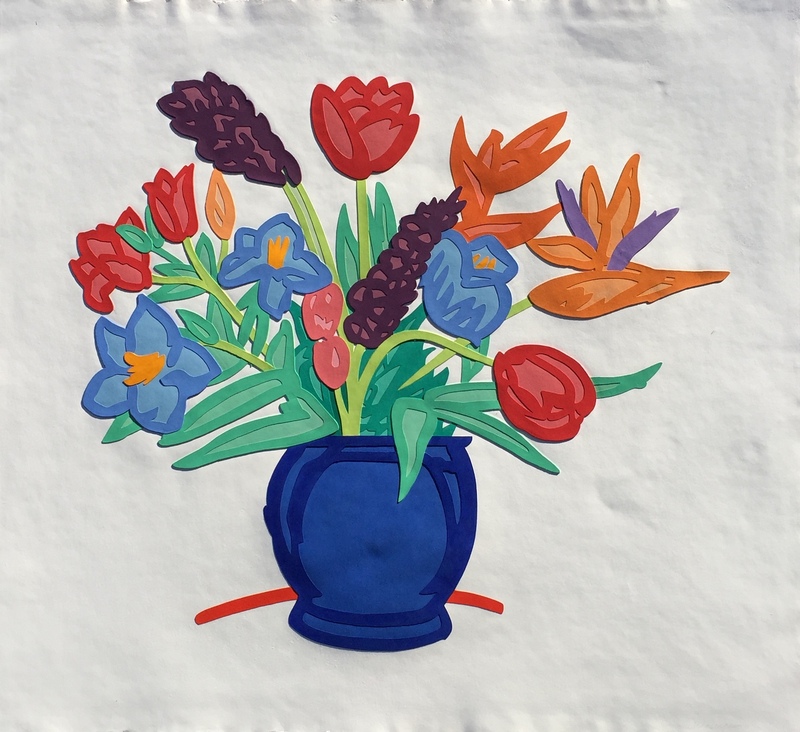 From April 1993 to January 1997 Wesselmann’s oeuvre was shown in a retrospective in eleven European cities in Germany, Belgium, Spain, Portugal, the Netherlands and France. His works are found in major museums and private collections all over the world. Wesselmann never liked his inclusion in American Pop Art, pointing out how he made an aesthetic use of everyday objects and not a criticism of them as consumer objects: “I dislike labels in general and ‘Pop’ in particular, especially because it overemphasizes the material used. There does seem to be a tendency to use similar materials and images, but the different ways they are used denies any kind of group intention”. 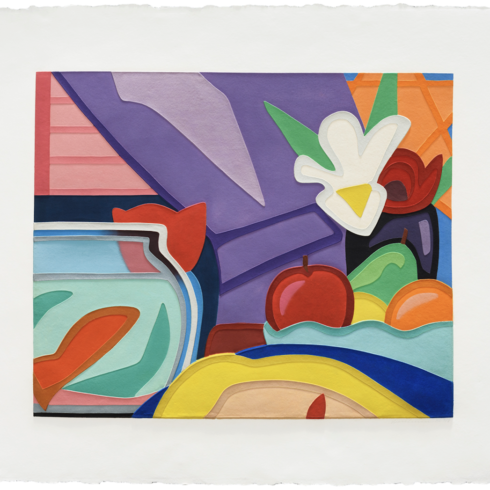 That year, Wesselmann had begun working on a new series of still lifes. experimenting with assemblage as well as collage. In Still Life #28 he included a television set that was turned on, “interested in the competitive demands that a TV, with moving images and giving off light and sound, can make on painted portions”. He concentrated on the juxtapositions of different elements and depictions, which were at the time truly exciting for him: “Not just the differences between what they were, but the aura each had with it… A painted pack of cigarettes next to a painted apple wasn’t enough for me. They are both the same kind of thing. But if one is from a cigarette ad and the other a painted apple, they are two different realities and they trade on each other… This kind of relationship helps establish a momentum throughout the picture… At first glance, my pictures seem well behaved, as if – that is a still life, O.K. But these things have such crazy give-and-take that I feel they get really very wild”.